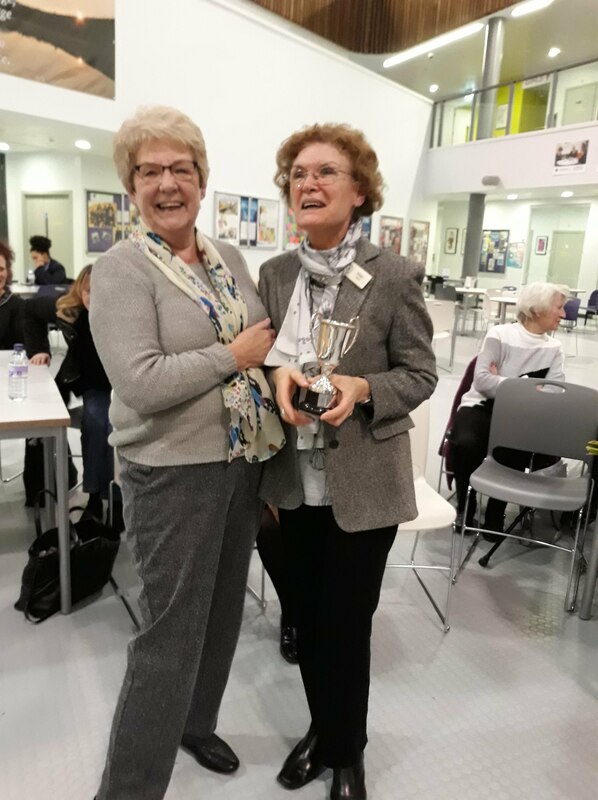 Eileen Ainsworth was also presented with the Best Barbershopper Trophy (also known as the Joyce Woods Trophy). Apart from Eileen’s fantastic attendance record, she arrives early at each rehearsal and makes a start setting up the risers (in fact is riser manager) and also oversees them being taken down. In addition to this Eileen is our card lady. No-one has a birthday or family event that Eileen doesn’t recognise by sending the appropriate cards. She goes about this task in her quiet and unassuming manner which we, the members of Mersey Harmony, have come to love and appreciate. Thank you Eileen Ainsworth.